Ultimate collectors football case with a gorgeous gold mirror finish. 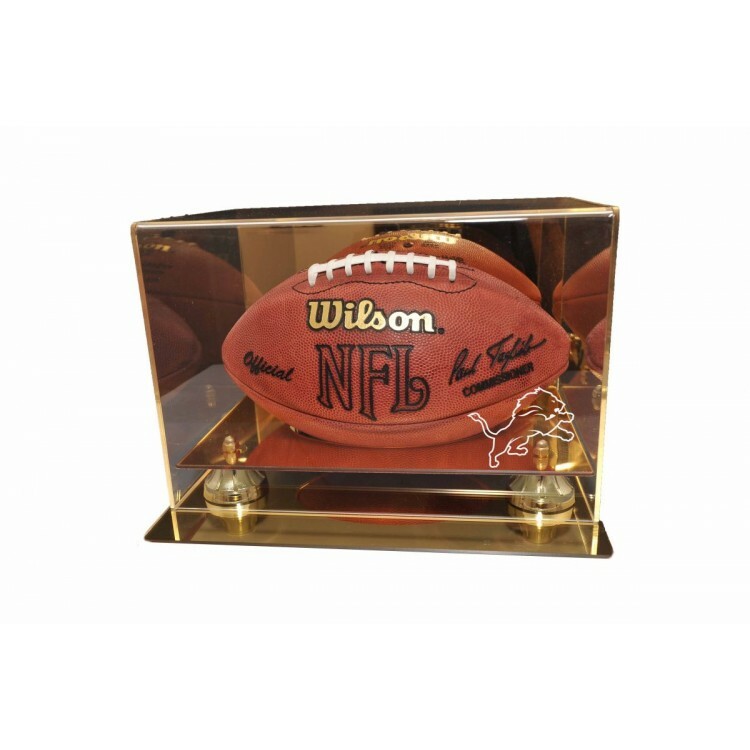 Includes your favorite NFL team logo beautifully engraved on the highest quality 1/8" cast acrylic lid. The base is finished in black acrylic with gold risers. Measures 9 7/8"D X 12 3/8"W X 9"H. Football not included. Made in USA. Each collectible comes with a collage of images, a team logo, and a pair of game-used laces. This pr.. Display your two favorite autographed baseballs in this double ball holder. Your baseballs, beautifu.. This Shawn Tolleson game-used jersey was worn during the Texas Rangers vs. Colorado Rockies game on .. The "creme de la creme" of football display cases. Ultimate collectors football case with a silver m.. This Rawlings 2008 All-Star baseball has been personally hand-signed by Ryan Dempster. It is officia.. The Iowa Hawkeyes logo display case features an antique mahogany finished base and a 1/8"-thick clea..
A Dynasty banner commemorating the national championships the school have won in football or basketb.. In Citadel and Clemson's 1976 duel at Clemson, the final score was Clemson, 10; The Citadel, 7. Here.. The Removable Face Jersey Display is the newest technology in jersey display cases. This NHL License.. The "creme de la creme" of football display cases. Ultimate collectors football case. Includes your ..
Commemorate Jimmie Johnson as the 2008 Sprint Cup Series champion with this acrylic display case. Th.. The Houston Astros 30-ball display case is made of 1/8"-thick acrylic with a black wood frame. It fe.. 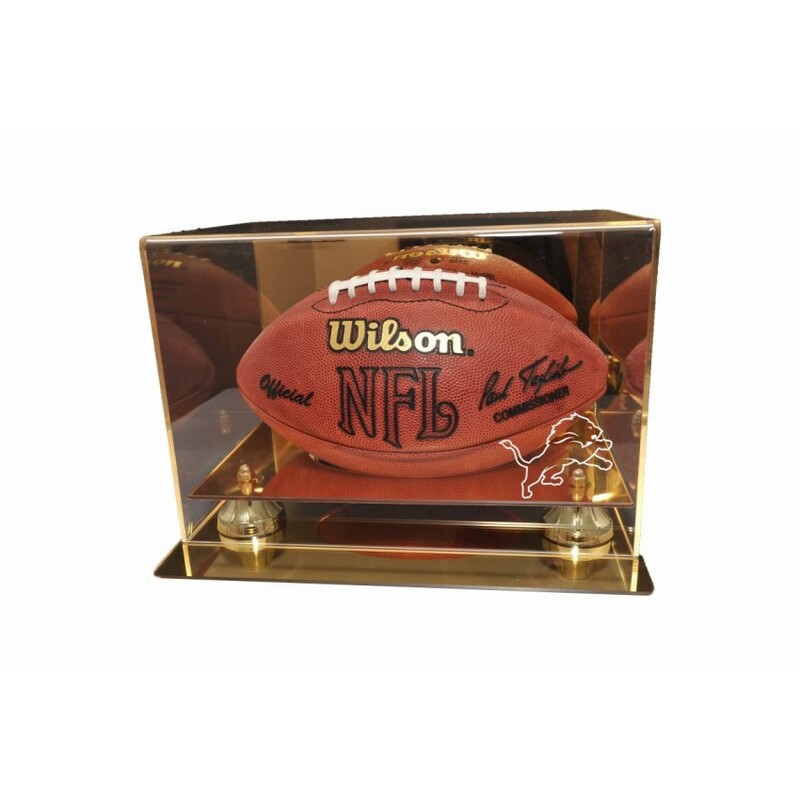 Ultimate collectors football case with a gorgeous gold mirror finish. Includes your favorite NFL tea..